People often use possible when they should be using probable, and vice versa. While similar, possible and probable have very different meanings. 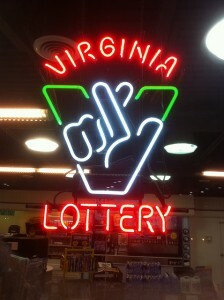 If you don’t buy a lottery ticket, it’s not possible to win. Once you buy a lottery ticket, it’s possible that you will win, but not probable. Like the example of buying a single lottery ticket, many things in life become possible with very little effort. However, it often takes much more effort to change possible into probable. If something is possible, it could happen. Possibility means that there is hope. This is where most things begin. If something is probable, it is likely to happen. Things that are probable are often a direct result of hard work. Photo credit: bionicteaching on Flickr. The English language can be so difficult. A prescribed drug is at the centre of dispute. The drug is implicated in the death of a child. The company, who make the drug, say it’s possible that the drug may have caused the death…but not probable. What’s your take on this Chad? They are saying that anything is possible. Possible does not imply that their drug did anything. By saying it is not probable basically is saying that they don’t think their drug is the cause of the death. However, that is something that a third party would need to determine.